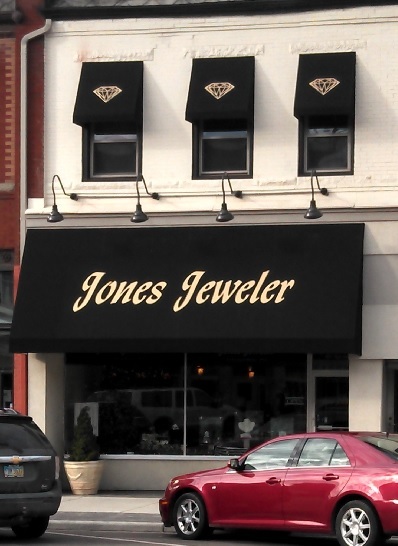 For two generations, Jones Jeweler has been providing fine diamonds, gemstones, watches and jewelry to the west central Ohio area. Our business is located in our new location of 105 S. Main Street in Celina, Ohio. We welcome anyone within driving distance to stop in and enjoy the small town charm of our city and experience an unparalleled level of personal service. We take great pride in offering beautiful, fine quality jewelry. Our inventory consists of an extensive blend of jewelry including sparkling diamonds and brightly colored gemstones, crafted in Platinum, 18 karat and 14 karat gold. We offer the finest diamonds, which we personally select from our sources in Antwerp, Belgium and other diamond cutting centers from around the world. Whether you desire a designer piece of jewelry or prefer an interesting design hand selected for quality and value, Jones Jeweler will be pleased to offer our expertise to assist in your selection of what might be a valued family heirloom for generations to come.